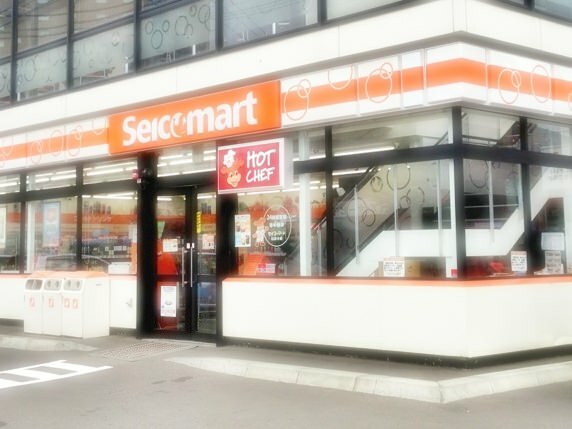 Seicomart is a convenience store chain based in the Hokkaido region (refer to #143) and has the larger number of branches in the area than other major chains such as 7-Eleven (refer to #166), LAWSON (refer to #167), Family Mart (refer to #168), and Circle K Sunkus (refer to #169). The name "seico" is the same sound of the Japanese word "seiko (meaning success)" and is equal to another pronunciation of the founder's name. Recently, the chain has advanced into the northern Kanto region (refer to #137).